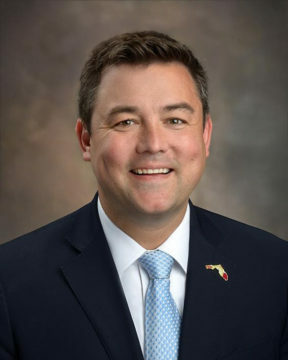 Sarasota County Administrator Jonathan Lewis is expected to provide preliminary information next week about the logistics of the County Commission’s hosting a water quality summit. Commissioner Christian Ziegler proposed such an event, and his colleagues were quick to concur that he had a good idea. Charlotte County leaders were holding just such a program that day, Ziegler pointed out on Jan. 29, as the Sarasota County Commission was conducting one of its regular meetings in Sarasota. He said he felt that hosting a summit would be “a great opportunity for us, as a county, to explain what we’ve done, because I think we’ve been very proactive [with measures to improve water quality].” Yet, members of the public may be unaware of what has and continues to take place under County Commission direction, Ziegler added. “I think that’s a great idea,” Commissioner Alan Maio responded. Commissioner Michael Moran suggested that a number of entities be involved in such a program, including the Peace River Manasota Regional Water Supply Authority — which Maio first had proposed — and the Southwest Florida Water Management District (SWFWMD). Following up with the commissioners on Jan. 30, Lewis reported that three county staff members attended the Charlotte County event, which was held at the Charlotte Harbor Event & Conference Center. That facility is located in Punta Gorda, Lewis noted, adding that approximately 640 people had registered for the program and the number of attendees appeared to be close to that figure. Chair Charles Hines said the Sarasota County commissioners would need to consider the logistics of hosting such an event in Sarasota County, such as where it could be held, how long the planning would take and how much it would cost. “I don’t think we can put this together in two weeks,” he indicated, especially as he did not believe county staff ever had planned a program on the scale of the Charlotte County conference. He asked Lewis to provide more information during the commission’s next regular meeting, which is set for Feb. 13. During the Jan. 29 board discussion, Commissioner Nancy Detert told her colleagues that, earlier in the week, she attended a meeting of the Charlotte Harbor National Estuary Program. A variety of people there represented environmental organizations, including the Lemon Bay Conservancy and the Sierra Club, she added. They likely would be willing to participate in a Sarasota County water quality summit, she said. Further, Detert pointed out that the previous day, the Sarasota/Manatee Metropolitan Planning Organization (MPO) held a seminar about regional transportation issues. “I was very impressed,” she said, with the number of attendees. “We have intelligent people here who like to know what’s going on,” she added. Therefore, it would be reasonable to expect a good turnout at a Sarasota County water quality summit, she indicated. The 2019 legislative session will begin on March 5, and it is scheduled to end on May 3. Still, Hines continued, the summit also would give members of the public an opportunity to tell local government and other leaders whether the actions they have been taking are the best they could have pursued. Ziegler also suggested that staff put together a comprehensive report about water quality initiatives in the county. Hines responded that staff completed such a report last year, before Ziegler joined the board in late November. Hines asked County Administrator Lewis to provide Ziegler a copy of the document, and he recommended his colleagues review it, as well. The initiatives the County Commission has approved to clean up Dona Bay in South County are just one example, Detert said, of the “right things” that the county has pursued. During the discussion, Hines also noted that the money from BP’s settlements related to the Deepwater Horizon oil spill in the Gulf of Mexico in 2010 finally is flowing to local governments. That could be used for further water quality projects in the county, he indicated. In August 2016, improvements to Dona Bay continued to be a primary focus of the county commissioners as they anticipated receiving more of the BP money. Each phase of the Dona Bay project has been designed “to incrementally provide a more natural freshwater/saltwater regime in the tidal portions of Dona Bay,” according to the watershed management plan upon which the county embarked in 2002, said a report prepared by the Kimley-Horn and Associates consulting firm in 2007. The Cow Pen Canal constructed in the late 1960s redirected “a significant portion of the Myakka River watershed to Dona Bay,” the report added, and that has “dramatically increased freshwater volumes to, and decreased seasonal salinities and dependent … flora and fauna within, the estuary.” The goal also is to protect existing and future property owners in the watershed from flood damage, the report noted. 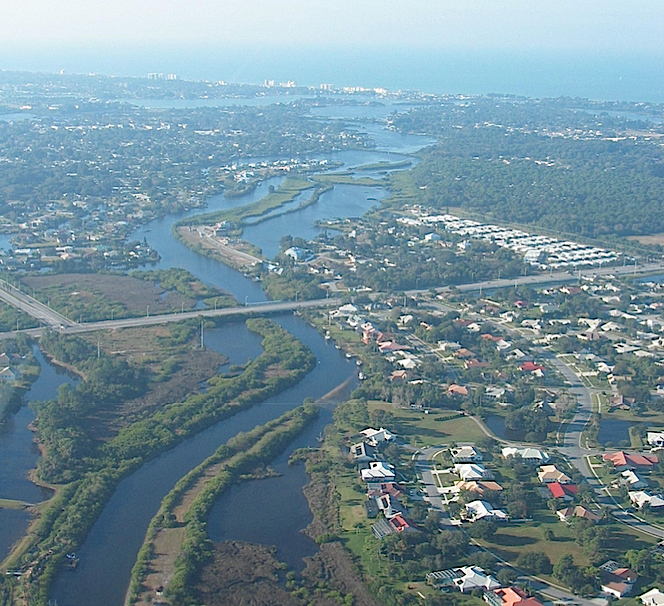 The Dona Bay watershed extends from the Venice Jetty northeast, through the center of the county east of Interstate 75, the report explained. A portion of the City of Venice lies within that area. County staff is at work on a feasibility study of the third phase of the Dona Bay Watershed Restoration Project, H. Cliff Harrison, the county’s senior hydrogeologist, explained in an email to staff following the County Commission discussion last week. Phase III, Harrison explained, has been proposed as means of recharging the Upper Floridan Aquifer, using surface water originating from Cow Pen Slough that has passed through Phase I (Dona Bay Conveyance Improvements) into Phase II (the Dona Bay Surface Water Storage Facility). “This will help to counteract regional aquifer drawdowns along with saltwater intrusion [into the aquifers],” he added. “In providing an abundant alternative source of water for aquifer recharge,” he continued, Phase III will significantly reduce the amount of fresh water that drains into Dona Bay and Venice Inlet through tidal action. The initiative not only will help to restore natural salinity levels, he wrote, but it also will reduce the flow of nutrients into the estuary system. 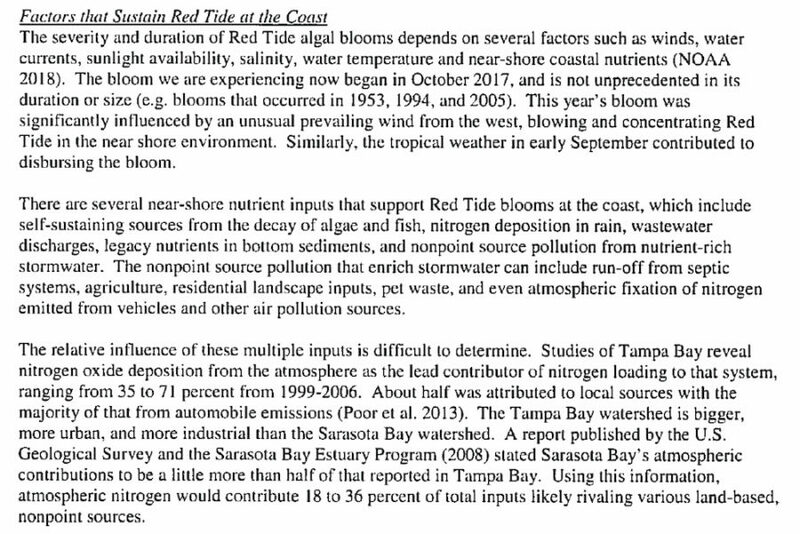 Nutrients in stormwater runoff that reaches the bays fuels red tide blooms, Mote Marine researchers have explained.